There may not be a huge market for scandium at present, but the strength and lightness of the critical metal could mean that consumers would be more than willing to use it if a larger supply were developed. Currently, the global scandium trade is quite small, coming in at less than 10 tonnes per year. Today, scandium is used in aluminum-scandium alloys for lightweight aircraft and automobiles, solid oxide fuel cells and in certain types of lasers and lighting. However, analysts such as John Kaiser of Kaiser Research have argued that there is an “enormous latent demand” for the metal, should it ever become available on a primary, scalable basis. He also noted that thousands of patents have been filed regarding used for scandium. Certainly, scandium has many favourable properties. It makes aluminum alloys stronger, more corrosion resistant, more heat tolerant and more weldable, and it also has outstanding electrical properties and “unique” optical properties for high intensity lamps. The metal is rarely found in commercial deposits on its own, and is usually mined as a byproduct of other materials. It has been produced as a byproduct material in China, Kazakhstan, Russia, and Ukraine, according to the United States Geological Survey (USGS), although specific production data was not available. There is no formal market for trading scandium, and there are no terminal or future markets. Most exchanges of the metal take place between private parties at undisclosed prices and amounts, so it can be difficult for investors to gain exposure to the metal and to get definitive information on supply, demand and pricing. To give one such estimate, a preliminary economic assessment (PEA) from NioCorp Developments (TSX:NB) filed in May 2015 stated that it saw the price of scandium ranging from US$2,000 to US$5,000 per kilogram. One way for market participants to invest in scandium is to buy shares in mining companies looking at developing scandium projects. As Kaiser has noted, there are several junior miners looking at developing scandium deposits in New South Wales, Australia. “It may end up being a $1-billion market in 10 years, but it’s going to be one driven by juniors, not major mining companies,” Kaiser told the Investing News Network in an interview. He sees Scandium International Mining’s (TSX:SCY) Nyngan scandium project as the most advanced in the space, but he also stated that Clean TeQ (ASX:CLQ), backed by Robert Friedland of Ivanhoe Mines (TSX:IVN), also has a significant project with its Syerston deposit. 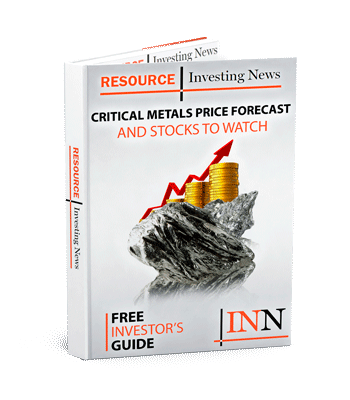 For investors interested in the critical metals space, getting into scandium early could have plenty of upside potential. It’s a difficult space to follow, but doing one’s due diligence on the market for the metal could be very worthwhile for savvy investors.